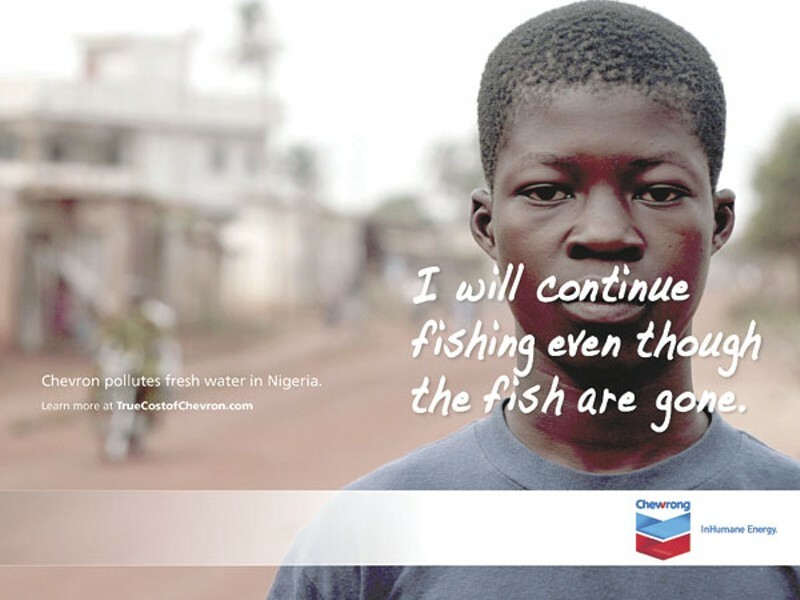 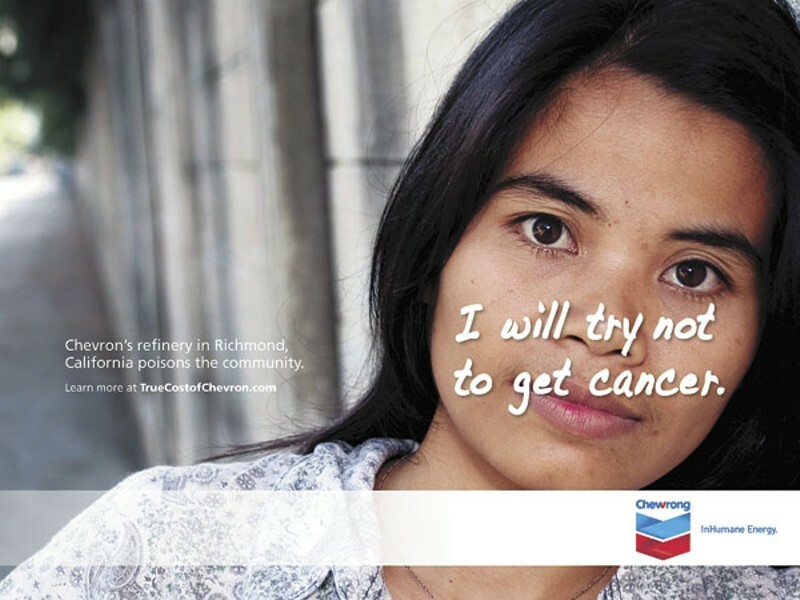 TrueCostOfChevron.org The activist groups are satirizing Chevron's "Human Energy" ad campaign with their own campaign, dubbed "Inhumane Energy." 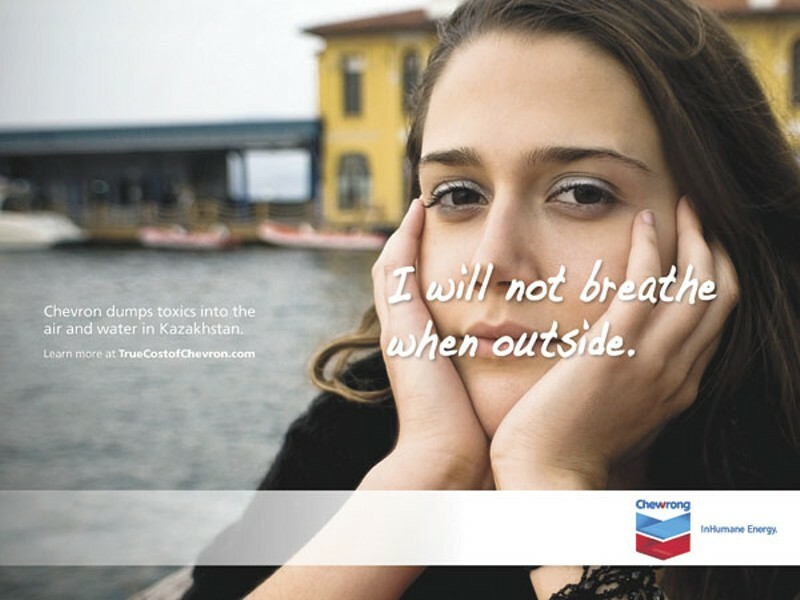 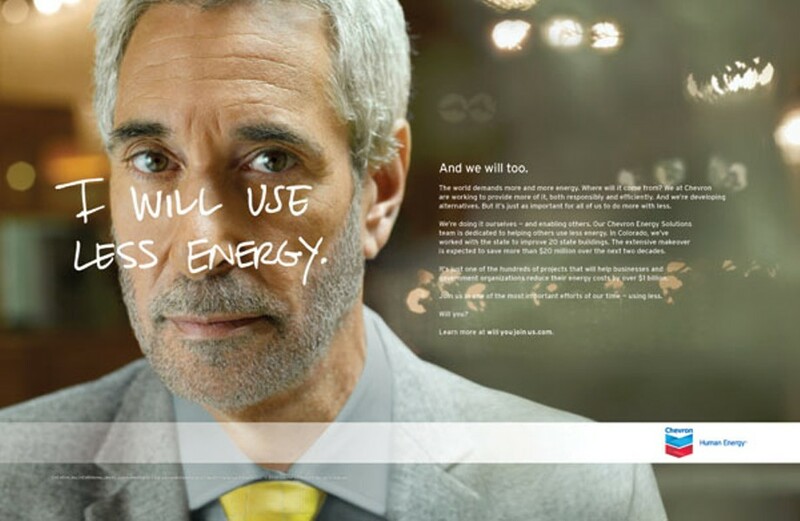 Chevron The activist groups are satirizing Chevron's "Human Energy" ad campaign with their own campaign, dubbed "Inhumane Energy." 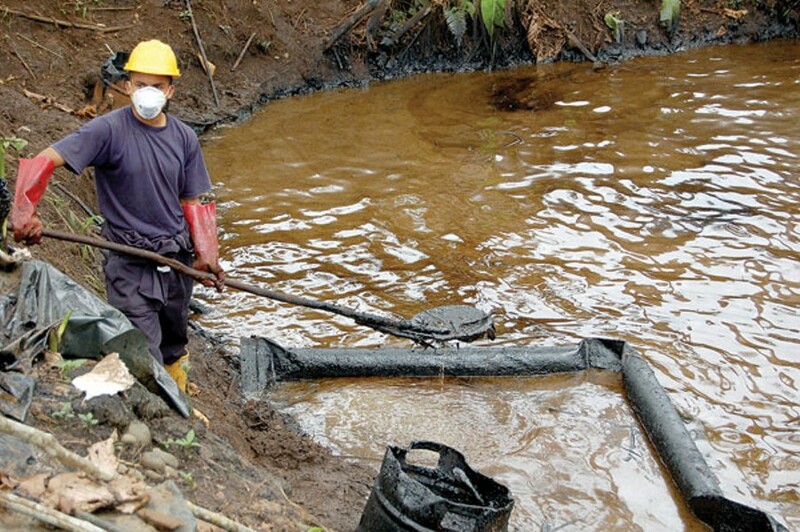 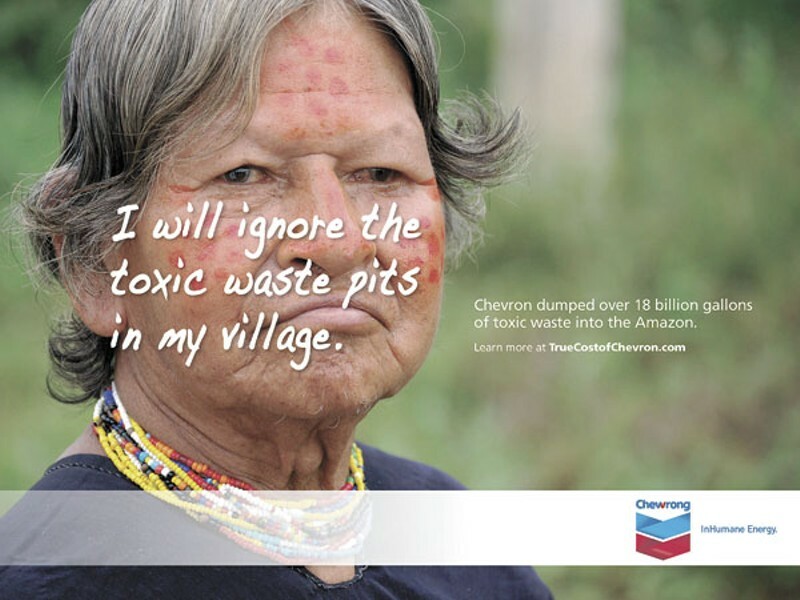 Mitch Anderson, Amazon Watch A worker at a former Texaco oil waste pit in Ecuador. 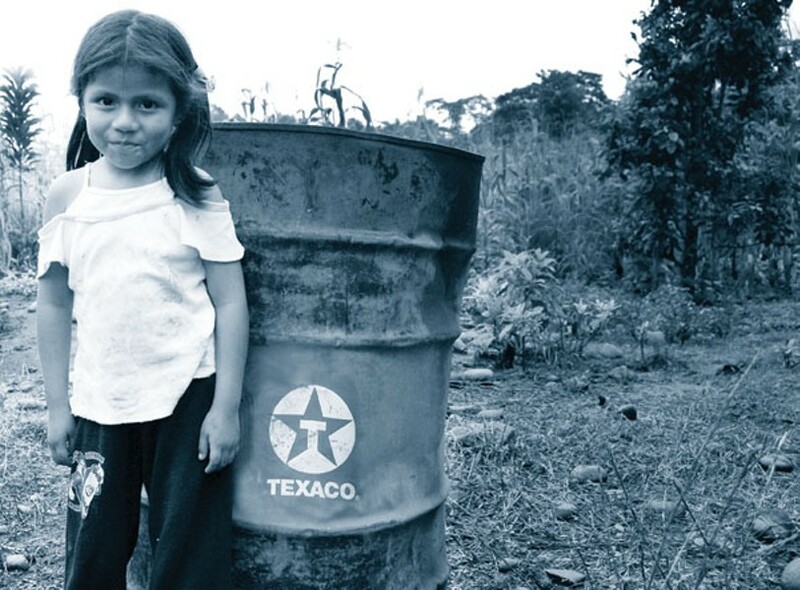 Mitch Anderson, Amazon Watch A Colono girl stands with an oil barrel abandoned by Chevron-Texaco near her home. 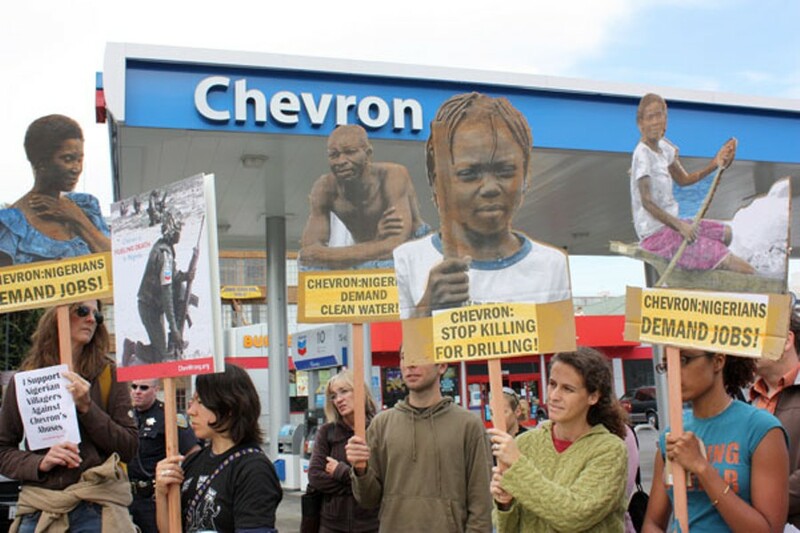 Natalie Mottley Activists take the fight to Chevron at one of the company's gas stations.